Airline apologizes for risqué in-flight "performance"
A Vietnamese budget airline has apologized for an "improvised performance" by bikini-clad flight attendants who were unleashed on a flight to welcome home a national soccer team that didn't even win their match. The boss of Vietjet, which has a history of using flight attendants in bikinis to attract customers -- and headlines -- apologized for causing offense but said the football team's treatment was not a company publicity stunt, but rather "an improvised performance by the logistics team that was not part of the company's program." Chief executive Nguyen Thi Phuong Thao, who was Vietnam's first female billionaire, issued the apology on her Facebook page, according to the Reuters news agency. Vietnam's Under-23 men's soccer team were the recipients of the risqué in-flight entertainment as they returned from an Asian tournament in China, at which they lost badly to the team from Uzbekistan. The team was nonetheless welcomed home as heroes, and it appeared to be the fact that the airline had involved the young players in the "performance" -- more than the performance itself -- that irked many Vietnamese. As photos of the players looking awkward as flight staff bedecked in frilly underpants, feathers and sequins interacted with them emerged on social media, Vietnamese reacted angrily. "Do you want to rename Vietjet 'Vietjerk', or 'Vietsex'?" Facebook user Ngoc Nhung sarcastically asked the airline's CEO in one scathing post. "Vietjet's move was so rude, cheap, and offensive to the team, the fans and even its passengers," another Facebook user, Nguyen My Linh, wrote according to The Daily Mail of Britain. Others vowed to boycott Vietjet over the stunt. In spite of the apology, Vietjet was hit with a small fine and a slap on the wrist from Vietnam's civil aviation agency. The Civil Aviation Authority of Vietnam (CAAV) levied a fine of 40 million dong ($1,761), and fined the plane's chief flight attendant 4 million dong, according to Reuters. 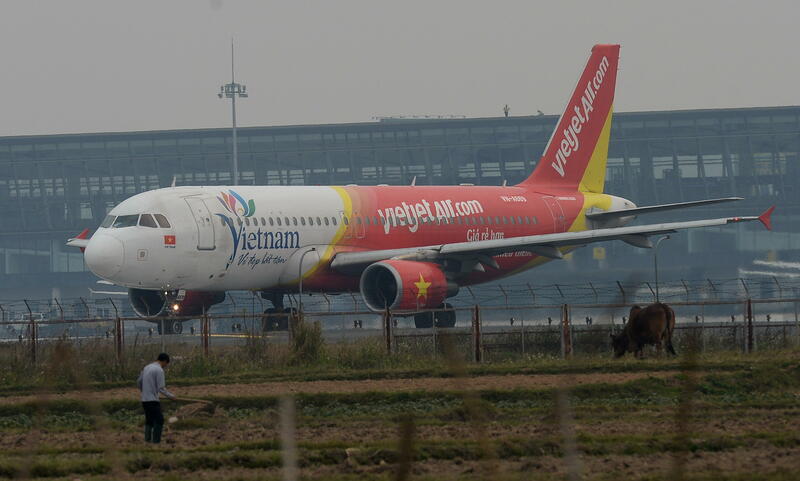 "Despite the fact the Vietjet event didn't jeopardise the safety of the flight, it could still have posed a safety risk," Reuters quoted CAAV as saying in a statement.